Monthly use, good quality and price. 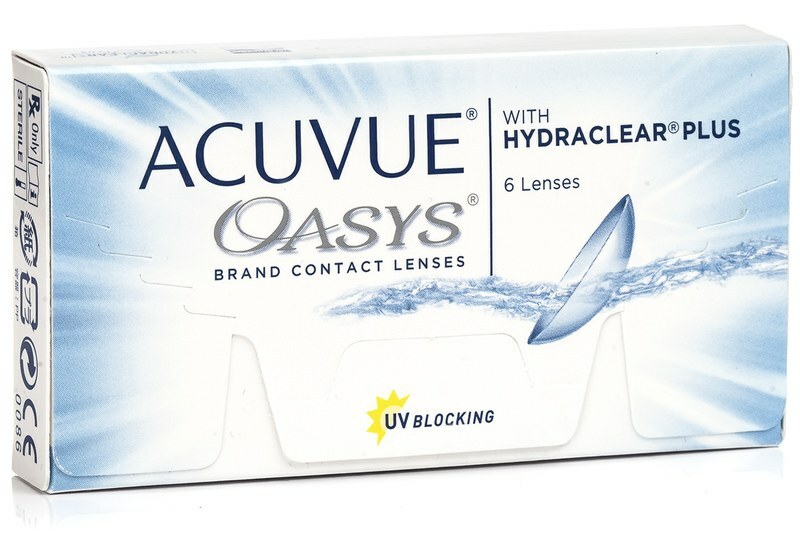 I have been using Acuvue Oasys for a few years now and they are great! I use my contact lenses every day. I don't wear my lenses all the time and find these 2 wkly. ones perfect for my needs. Quality is perfect! Thank you so much ! Excellent quality and quick shipment, definitely will recommend to others. I've used these for several years now and they are really amazing contact lenses. 2 weekly, soft lenses. Good quality and so much cheaper. Have used this product with no problems for a couple of years. great product. I have tried many but this is the one I staked with. Top Quality. I use this acuvue since 12 year and i never change . I have been using Acuvue Oasys for more than 7 years now. These are very soft contact lenses and suit my eyes. Can be used daily, even for very dry eyes, this is the most comfortable lens I ever had in the course of 10 years! I like it! Fust delivery! I have been using this product for 3 years. Very happy with the product and the service. Would not use another lens. Contact lenses are perfect for me. I have used dailies and they don't suit everyone. Excellent product. Customer support and team efficiency superb !!!! I use my lenses every day. The quality is excellent and I would recommend Lentiamo's service to everyone. i should like to order emergency contact lenses as soon as possible. i need the smallest amount possible. I NEED A 6 STRENGTH. If you make the order today, it will be dispatched on Thursday and, if you ask for Royal Mail delivery, it will arrive next Tuesday. If you choose the UPS option you should receive it by Friday. Please always make sure you place orders before 1,00 pm to avoid wasting one precious working day for dispatch. Dear, can you provide colored ACUVE OASIS lenses? if yes could you please share with me the different types you have with their price? Also, is there weekly or daily ACUVE OASIS lenses ? If yes, do share prices. Many thanks, Catherine. Thank you for your question. Unfortunately, coloured Acuvue Oasys contact lenses are not available. Hi, These lenses last two weeks. Thank you. Hi, It means that you should try the lenses that fit the prescription your eye doctor gave to you. We cannot recommend lenses that differ from your prescription as we are not medical professionals. Thank you! Hi, You can access this information in your client section when you log into your account. You need to click the icon in the top right have corner of the page, then you can see all of your past orders. Thanks! Happy to remain at your service! The difference is simple – the diameter of these contacts is larger. Your eye care professional should determine the best lenses for you and I will suggest to follow the exact specifications of the specialist (as per prescription). Otherwise, you might risk hurting your eyes or finding the lenses unsuitable and unreturnable. LENSBOB deal is for new customers only. Apologies about any inconvenience caused. used for 6 years already, never change o another product.